Question: I’m looking for this hadith: ” Awwalu ma khalaqallahu nuri” (The first thing that Allah created was my nur) Then author of Kashful Khifa quotes Al-Mawahib and says it’s in Musannaf Abdur Razzaq but the muhaqqiq of Mawahib says it’s not there and this hadith is mawdu`. He also says that sheikh Abdullah Ghumari wrote a risalah saying it’s mawdu` and Allamah Suyuti in Al-Hawi lil Fatawi says it’s not established. The Ahlus Sunnah wa’l Jamaah believe that it is indeed permissible to call the Prophet (may Allah bless him and grant him peace) as ‘Nur of Allah’. The Qur’an has itself applied this description to the Prophet (may Allah bless him and grant him peace) at many places and so have overwhelming ahadith. `Abidin (Ahmad al-Shami d. 1320), the son of the Hanafi scholar Ibn `Abidin, cites the hadith as evidence in his commentary on Ibn Hajar al-Haytami’s poem al-Ni`mat al-kubra `ala al-`alamin. Nabahani cites it in his Jawahir al-bihar (3:354). `Ajluni (Isma`il ibn Muhammad d. 1162) in his Kashf al-khafa’ (1:265 of the Maktabat al-Ghazali edition in Beirut) narrates the hadith in its entirety from Qastallani in his Mawahib. Alusi (al-Sayyid Mahmud) in his commentary of Qur’an entitled Ruh al-ma`ani (17:105 of the Beirut edition) said: “The Prophet’s being a mercy to all is linked to the fact that he is the intermediary of the divine outpouring over all contingencies [i.e. all created things without exception], from the very beginnings (wasitat al-fayd al-ilahi `ala al-mumkinat `ala hasab al-qawabil), and that is why his light was the first of all things created, as stated in the report that “The first thing Allah created was the light of your Prophet, O Jabir,” and also cited is: “Allah is the Giver and I am the Distributor.” [See al-Qasim #261.] The Sufis — may Allah sanctify their secrets — have more to say on that chapter.” Alusi also cites the hadith of Jabir as evidence in another passage of Ruh al-ma`ani (8:71). Bayhaqi (d. 458) narrates it with a different wording in Dala’il al-nubuwwa according to Zarqani in his Sharh al-mawahib (1:56 of the Matba`a al-`amira in Cairo) and Diyarbakri in Tarikh al-khamis (1:20). 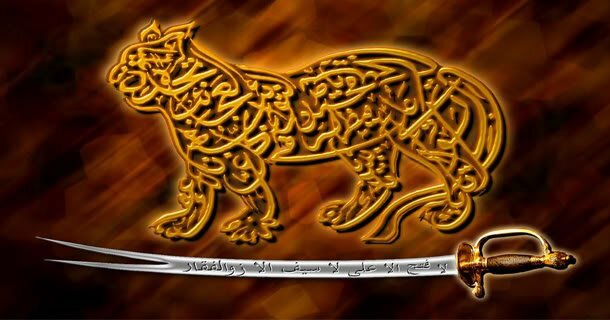 Diyarbakri (Husayn ibn Muhammad d. 966): He begins his 1,000-page history entitled Tarikh al-khamis fi ahwal anfasi nafis with the words: “Praise be to Allah Who created the Light of His Prophet before everything else,” which is enough to disprove al-Ghumari’s exaggerated claim that “anyone who reads it will be convinced that the hadith is a lie.” Then Diyarbakri cites the hadith as evidence (1:19 of the Mu’assasat Sha`ban edition in Beirut). Ghumari (`Abd Allah) in his Irshad al-talib al-najib ila ma fi al-mawlid al-nabawi min al-akadhib (p. 9-12 of the Dar al-furqan edition), commenting on Suyuti’s words (quoted below) whereby the hadith has no reliable chain: “This shows great laxity on the part of Suyuti, which I thought him to be above. First, the hadith is not present in `Abd al-Razzaq’s Musannaf, nor in any of the books of hadith. Secondly : the hadith has no chain of transmission to begin with. Thirdly: he has not mentioned the rest of the hadith. 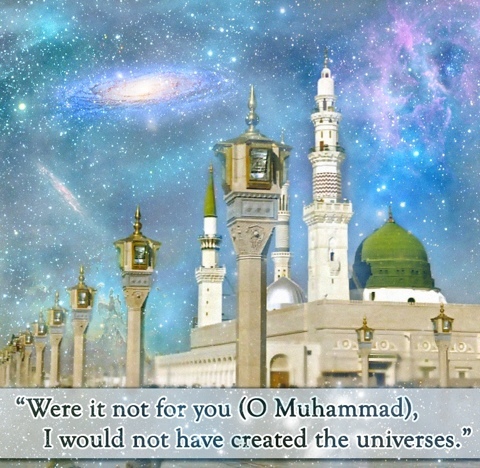 It is mentioned in Diyarbakri’s Tarikh, and anyone who reads it will be convinced that the hadith is a lie about the Messenger of Allah.” This exaggerated conclusion is disproved by the fact that Diyarbarkri himself does not consider it a lie since he cites the hadith in the first words of his book. 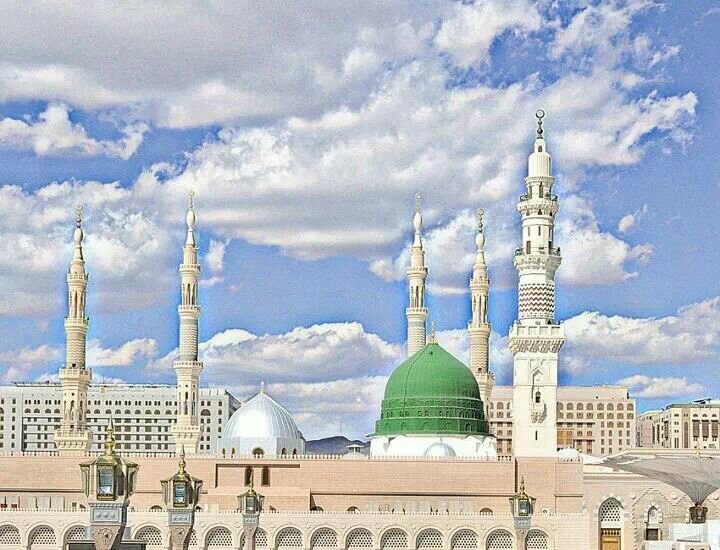 Gilani (Shaykh `Abd al-Qadir, d. 561) in his book Sirr al-asrar fi ma yahtaju ilayh al-abrar (p. 12-14 of the Lahore edition) said: “Know that since Allah first created the soul of Muhammad ﷺ from the light of His beauty, as He said: I created Muhammad from the light of My Face, and as the Prophetﷺ said: The first thing Allah created is my soul, and the first thing Allah created is the Pen, and the first thing Allah created is the intellect — what is meant by all this is one and the same thing, and that is the haqiqa muhammadiyya. However, it was named a light because it is completely purified from darkness, as Allah said: There has come to you from Allah a Light and a manifest Book. It was also named an intellect because it is the cause for the transmission of knowledge, and the pen is its medium in the world of letters. 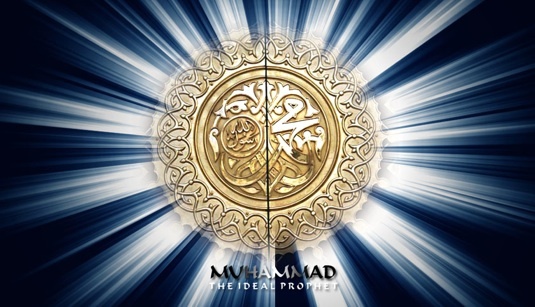 The Muhammadan soul (al-ruh al-muhammadiyya) is therefore the quintessence of all created things and the first of them and their origin, as the Prophet said: I am from Allah and the believers are from me, and Allah created all souls from me in the spiritual world and He did so in the best form. It is the name of the totality of mankind in that primordial world, and after its creation by four thousand years, Allah created the Throne from the light of Muhammad himself ﷺ, and from it the rest of creation.” This book has now been translated by Shaykh Tosun Bayrak al-Jerrahi as The Secret of Secrets (Cambridge: Islamic Texts Society, 1994). Haqqi (Isma`il, d. 1137) cites it as evidence in his Tafsir entitled Ruh al-bayan and says: “Know, O person of understanding, that the first thing Allah created is the light of your Prophet… and he is the cause for the existence of everything that was brought to existence, and the mercy from Allah upon all creatures… and without him the higher and the lower worlds would not have been created.” Yusuf al-Nabahani mentions it in his Jawahir al-bihar (p. 1125). Haytami (Ahmad ibn Hajar d. 974) states in his Fatawa hadithiyya (p. 247 of the Baba edition in Cairo) that `Abd al-Razzaq narrated it, and cites it in his poem on the Prophet’s birth entitled al-Ni`mat al-kubra `ala al-`alamin (p. 3). Gangowhi (Rashid Ahmad) a leader of the Wahhabi-influenced Deobandi school of India and Pakistan in his Fatawa rashidiyya (p. 157 of the Karachi edition) said that the hadith was “not found in the authentic collections, but Shaykh `Abd al-Haqq (al-Dihlawi) cited it on the basis that it had some grounding of authenticity.” Actually Shaykh `Abd al-Haqq not only cited it but he said it was sound (sahih). Jili (`Abd al-Karim, b. 766) in his Namus al-a`zam wa al-qamus al-aqdam fi ma`rifat qadar al-bani ﷺ cites it as evidence. Nabahani relates it in his Jawahir al-bihar (see below). Maliki al-Hasani (Muhammad ibn `Alawi) in his commentary on `Ali al-Qari’s book of the Mawlid entitled Hashiyat al-Mawrid al-rawi fi al-mawlid al-nabawi (p. 40) said: “The chain of Jabir is sound without contest, but the scholars have differed concerning the text of the hadith due to its peculiarity. Bayhaqi also narrated the hadith with some differences.” Then he quoted several narrations establishing the light of the Prophet. Nisaburi (Nizamuddin ibn Hasan, d. 728) cites it as evidence in elucidation of the verse: “And I was ordered to be the first of the Muslims” (39:12) in his Tafsir entitled Ghara’ib al-Qur’an (8:66 of the Baba edition in Cairo). Qastallani (Ahmad ibn Muhammad, d. 923) narrates it in his al-Mawahib al-laduniyya (1:55 of the edition accompanied by Zarqani’s commentary). Zarqani in Sharh al-mawahib cites it (1:56 of the Matba`a al-`amira edition in Cairo) and refers it to `Abd al-Razzaq’s narration in his Musannaf. The Aqida (belief) of the Ahle Sunnat Wa Jama’at is that the Prophet (Sall Al’laahu alaihi wasallam) is Noor (Light) and came to us in the form of a man. Even though he came towards us in a human form, he is “Afdalul Bashr” (The most superior human). It should be noted that originality does not change by the changing of a garb. Hazrat Jibra’eel Ameen (Alaihis Salaam) is Noor but when appeared before Hazrat Maryam (RadiAllahu Anhu) he would appear to her in the form of human. It is obvious that the Sahaba referred to Hazrat Jibra’eel (Alaihis Salaam) as a man since they had seen him in the form of a human being. He had black hair, hands, legs, eyes, ears and a nose. All these are human qualities, yet it is obvious that he is not human but an Angel who is Noor, and just appeared to them in the form of a man. 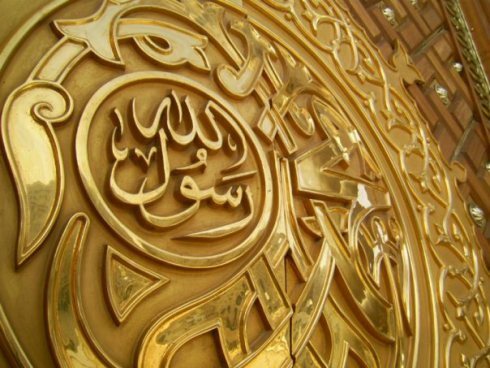 It is a well known fact to the people of knowledge that in the Hadith it has been narrated on numerous occasions about how Hazrat Jibra’eel (Alaihis Salaam) presented himself in the Holy Court of the Holy Prophet Muhammadﷺ as a human. 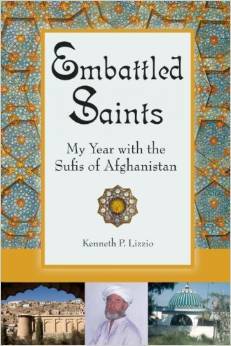 On many instances he came in the form of Sahabi-e- Rasool Hazrat Dahia Kalbi (رضي الله عنه). The Distinguished Sahabi-e-Rasool Hazrat Jaabir(رضي الله عنه) respectfully enquired from the Holy Prophetﷺ ,“O Prophet of Al’laah , my parents be sacrificed upon you. What is the first thing which Almighty Al’laah created before everything else? After examining the above mentioned sayings of the Holy Prophet Muhammadﷺ it is as bright and evident as the sun that the Holy Prophet ﷺ referred to himself as being Noor and he did so in a very clear manner to his Ummah. Those who oppose and contradict the Nooraniyat of the Holy Prophet are definitely against the Holy Prophet ﷺ . Now let us examine the Aqida (belief) of the Glorious Sahaba-e- Kiraam (Companions of the Prophet ) who are beacons of guidance for the Ummah. “Muhammad Mustafaﷺ is the Honest and is the One who invites towards righteousness; His Bright Light takes away darkness and destroys it like the radiance of the full Moon.” [Dalail-un-Nabuiwat, Pg.225 Vol.1 – Jawahirul Bihar Pg.96 Vol.1]. 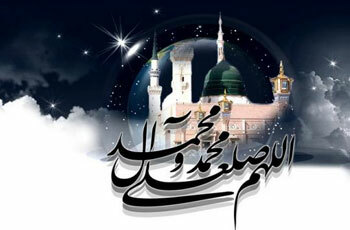 Now, after examining all the narrations quoted by the Sahaba-e- Kiraam, it is very clear and obvious that they accepted the Prophet (salla Al’laahu alaihi wasallam) to be Noor. In the light of Ahadith of Sayyiduna Rasoolullah (salla Al’laahu alaihi wasallam) it is clear that the claim of the deviants that they are also part of the Ahle Sunnah Wa Jamaat is only a hoax and a fraudulent act as they do not accept the Prophet (salla Al’laahu alaihi wasallam) as Noor. The proper Ahle Sunnah Wa Jamaat are those who accept the Prophet as Noor and they are the ones who are known in the world as Sunni. Those who reject the Prophet (salla Al’laahu alaihi wasallam) as being Noor, say that the Holy Prophet (salla Al’laahu alaihi wasallam) had wives, He had children, He used to eat and drink and it is for this reason that He is not Noor (In other words he possessed all human qualities). They do not accept our Prophet (salla Al’laahu alaihi wasallam) as Noor since he had wives and children, he (salla Al’laahu alaihi wasallam) ate and drank etc; but the Sahaba (RadiALlahu Anhum) of the Holy Prophet (salla Al’laahu alaihi wasallam) also saw that He had wives, children etc; but still they accepted him to be Noor. After the Holy Prophet ﷺ journeyed into the hereafter, Hazrat Safia (radi Al’laahu anha) said the following stanza due to the sorrow and thought of the passing of The Holy Prophet ﷺ . From this, one may conclude that she also accepted him as Noor (Light). It is obvious from the above mentioned narrations that Hazrat Safia (radi Al’laahu anha) always accepted the Holy Prophet to be Noor. On the passing of the Prophetﷺ the third aunt of the Holy Prophet Sayyida Urwa (radi Al’laahu anha) pointed out what she believed. It is clear that even after knowing and living amongst the blessed wives and beloved children of the Holy Prophet ﷺ and even after observing him eat and drink, the blessed aunts of the Holy Prophetﷺ still believed that he is Noor (Light) and this was their clear and open belief (aqida). The cousin of the Holy Prophetﷺ, Hazrat Abdullah ibn Abbas(رضي الله عنه) says that the Holy Prophet is Noor. He was always in and out of the house of the Holy Prophet Muhammadﷺ . The uncle of the Holy Prophetﷺ , Hazrat Abbas(رضي الله عنه) also says that the Holy Prophetﷺ is Noor. Those nurses who fed the Beloved Prophet ﷺ and saw him eating and drinking, those nurses in whose home the Beloved Prophetﷺ lived, walked, ate and drank etc; also believed that the Holy Prophetﷺ is Noor. Those blessed aunts of the Holy Prophetﷺ who saw his wives, his children, and who saw him eat and drink and who observed the way he lived his life, all believed that he is Noor and not an ordinary human being. Sayyida Aisha Siddiqa (radi Al’laahu anha) was the one that the Sahaba respected so dearly that after the Holy Prophet (sall Al’laahu alaihi wasallam) passed from this world, they queried from her the solutions to their problems. Even though she was the respected and blessed wife of the Holy Prophet Muhammadﷺ she still accepted him ﷺ to be Noor. Clear evidence from the sayings of the Sahaba-e-Kiraam, the Ahle Bait-e-Athaar (radi Al’laahu Anhuma), and from the books of the distinguished Muhaditheen have been presented. After examining them, it is as clear and obvious as the brightness of day that although they possessed knowledge of the eating, drinking, wives and children of the Holy Prophet Hazrat Muhammadﷺ they all still believed without any doubt that he is Noor.